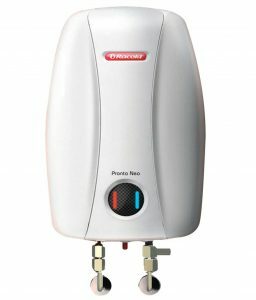 Winter season has arrived and one of the most essential equipment that you need in winter season is a geyser water heater.No one want to take a shower with cold water in winters so the geysers or water heaters are must in winters.So,if you are looking for the best geyser water heater online in India then you came at the right place.In this post i will tell you about all the essential things that you should keep in mind before buying the best geyser for you and i will also share the top 10 best geyser water heater in india 2019. 1.Size of the geyser : The first important thing before buying a geyser water heater is to determine the size of the geyser that you want.You should always select the size of geyser according to your usage and family size. 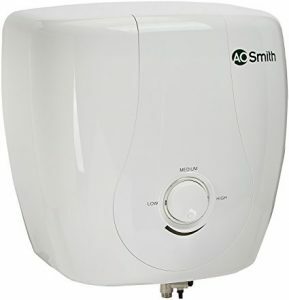 If you buy a geyser with small size and your usage is much more as compared to the tank installed in the geyser then it might happen that you loose the hot water before you complete shower.The main reason for that should be your family size .If you have a large family then obviously you require a big size geyser otherwise you will face shortage of hot water most of the time. So it is necessary to choose the best size geyser for you.Size of the geyser or water heaters depends on various factors like your usage ,your family size,the purpose for which the geyser is used etc. ELECTRIC GEYSERS : Electric geysers or water heaters basically use electricity in order to heat the water.In other words they run on electricity and hence they consume power and energy and contribute to your electricity bill. (i) Instant geyser : Instant geyser as the name suggests provides hot water instantly when you switch on the geyser that is you don’t have to wait for the water to get heated up.These geysers does not have a water storage tank.These geysers occupies small mounting space.Water heating cost in these type of geyser are considered less because the hot water is used instantly. (ii) Storage geyser : Storage geyser as the name suggest does not provide instant hot water.You have to wait for like 5-10 mins in order to get hot water.These types of geyser comes with a water storage tank which first stores the water and then provides the hot water to you.These geysers occupies a large mounting space.Water heating cost in these types of geysers are considered little high as compared to Instant geysers because the hot water is used after some time. 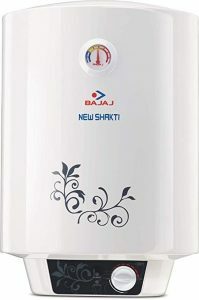 These type of geysers are best suitable for people who bath using bucket and for people who bath using shower.You will not get any break during the bath because the geyser gets all the water before the bath so you can enjoy your shower without any disturbance or break.These geysers comes in sizes ranging from 6-35 liters.Their life span is little less as compared to Instant geysers.Their price is less as compared to Instant geysers. 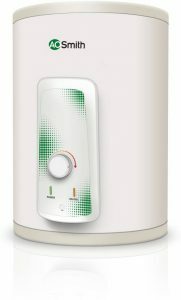 GAS GEYSER : Gas water heaters runs on LPG. They get their supply through gas pipelines and they are highly energy efficient means they consume less power and energy and hence reduce your electricity bill. 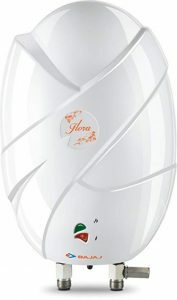 They are lighter in weight and are very cost-effective too.But gas geysers comes with high risk therefore they are never recommended on the basis of safety.They heat the water three times faster as compared to electric heaters.Gas geysers generally require large space because they come with additional LPG cylinder that have to be placed too. (i) Instant geysers :They provide hot water instantly and are similar to electric instant geysers.The only main difference is that electric instant geyser runs on electricity whereas gas instant geysers run on gas. 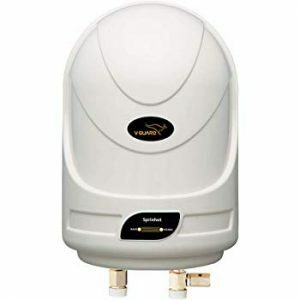 3.Geyser Wattage : Geyser wattage is another important point that you should keep in mind before buying the best geyser or water heater for you.The wattage of geyser determines that how fast the geyser can heat up the water.If the wattage is high then the geyser will heat the water fast and if the wattage is low then the geyser will heat the water slow.The wattage of a geyser is measured in kW.Therefore a geyser with 4kW will heat the water much faster as compared to the geyser with 2kW. 4.Geyser Tank : Geyser tank are basically used to store the water.The capacity of the geyser tank will depend on various factors like your family size,your usage,the purpose for which the geyser is being used etc.Therefore you should consider these factors before choosing the capacity of the geyser tank. 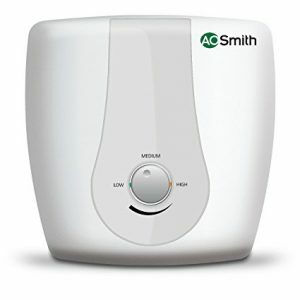 So if you are going to buy a geyser make sure it has vitreous enamel glass coated water tank. 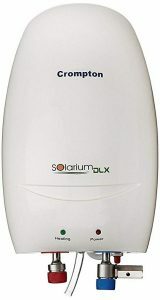 6.Power consumption : You should always buy a geyser with low power consumption or energy consumption.If your geyser consumes low power and energy then it will help to reduce your electricity bill.The energy efficiency of a geyser or a water heater is indicated by star rating.Therefore,higher the star rating of the geyser the more energy efficient it would be and less power or energy it will consume hence saving your electricity bill. 4.It comes with thermal cut-out feature that is if the water temperature exceeds the highest pre-set level, the thermal cut-out cuts off the power supply to assure safety. 8.Its heating element is made up of copper which doesn’t wear out in the case of instant power cuts and voltage variation. 7.It comes with fire retardant cable so that in the event of a fire, the cables help to resist the spread of fire. 6. 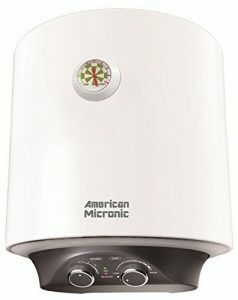 This geyser/water heater comes with double coated glass-linked tank. that provides maximum protection against hard water and corrosion. 8.It comes with 7 years warranty on inner tank, 4 years extended warranty on glass coated heating element & 2 years comprehensive. 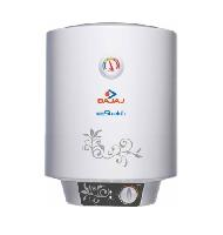 4.This geyser/water heater comes with double coated glass-linked tank. that provides maximum protection against hard water and corrosion. 4.It has Fire Retardant cable with 3 pin plug. 5.It comes with Glasslined Coated Inner Tank. 6.It has Multiple safety systems for protection against dry heating, over heating and over pressure. 7.It comes with long life Incoloy Heating Element.